For this month’s cultural break – with some late, again – I would like to talk to you about the latest Pixar animation movie, Ratatouille. I had the opportunity and pleasure to see it two weeks ago with Qat and his family. The least I can say is that we really enjoyed it. 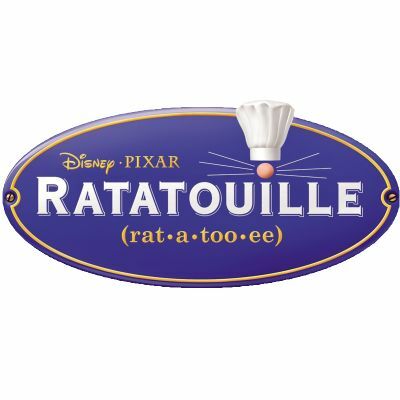 From the very good story, to the great characters and magnificent animation techniques, Ratatouille is simply a must watch. I have always been a Pixar fan. As a teen, I was mesmerized by Toy Story and A bug’s life. Later, Finding Nemo, Monster Inc. and the Incredibles thrilled me, but with Ratatouille comes the BEST Pixar film ever. OK, I am French and seeing my country and Paris in an American film is a great pleasure. But the genius of this film is the atmosphere, the feeling we got when watching the scenes featuring the city. Then, Ratatouille is an ode to cooking. I am not a great cook but just like to prepare some good food for me, my family and friends. This is totally shown there and I am sure that any person who likes to cook had the same impression as I did. Not everybody can be a great cook, but sure, everybody can cook something and raise some smiles. If you hadn’t seen it, go to your nearest movie theater and watch it, appreciate the quality of the animation and the 3D, the story, the character design and so many elements that make that Ratatouille will stay in your mind for some time. To finish this cultural break, I would like to propose you the trailers of the next Pixar film, which will be called Wall-E and is due for Summer 2008. Second trailer, brand new as released on October 1st. ← It’s back and working !